Hello, we are Chris & Nicole Conte, together we are Northshire Living. 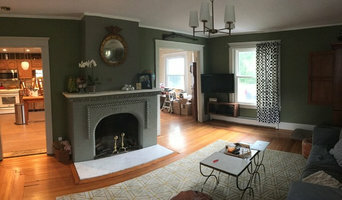 Let us transform your home in Southern Vermont! Whether you’re looking to update your Stratton or Bromley ski condo with heated tile floors and a modern, bright kitchen with quartz counters, or to renovate your classic Manchester or Dorset farm house with custom inset walnut cabinets, warm cherry wood flooring, and a striking soapstone counter and integrated sink. 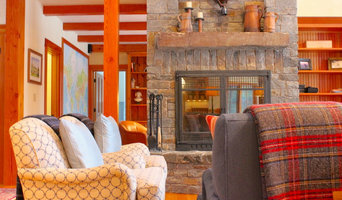 Whatever your style, we will help your home make a bold and beautiful statement, striking a balance of modern and traditional in the heart of the Green Mountains. r.k. MILES has a long history in Vermont and is proud to be a third generation family business. Manchester, VT has been our home since 1886 when Frederick Miles first logged timber on the slopes of Red Mountain. The company logged, milled and sold timber in various locations until 1927 when the Miles Lumber Co. was established in Arlington, Vermont. Throughout the following years, Richard K. Miles, Sr. learned that building solid customer relationships and supporting the community had become one of the company’s greatest strengths. As Miles Lumber Co. continued to grow, a second location was established in Manchester Vermont in 1940. Over the next 40 years, the tremendous growth of r.k. MILES, Inc. was due in large part to the company’s commitment to fair business practices, belief in family and community, the loyalty of its customers, and the leadership of Richard K. Miles, Jr. In 1992, Richard's son, Josiah E. Miles, took over ownership of the company. r.k. MILES, Inc. continued to grow in 2005 with the purchase of our Middlebury Vermont and Williamstown Massachusetts (formerly Taconic Lumber) locations, and the purchase of our West Hatfield Massachusetts location in 2008. More recently, r.k. MILES, Inc. expanded to North-central Vermont with the purchase of two more locations in Morrisville and Stowe (formerly Morrisville Lumber) in 2017. Today, the practice of caring about our customers and participating in the community is still the mainstay of our company and is a thoroughly ingrained business philosophy. Now with lumberyards and hardware stores in Vermont and Western Massachusetts, r.k. MILES, Inc. is even better poised to serve its customers both north and south of its Manchester location. Authorized dealer of Medallion. Authorized Marvin dealer. Experienced and Award - Winning Design with out-of-the-box problem solving by Wendy Johnson, Certified Master Kitchen and Bath Designer. With 39 years working in the field of kitchen, bath and interior space design, Wendy has worked with clients from the NY metropolitan region to Texas—Sun Valley, ID to St. Croix—New England to Colorado— to create functional spaces that are beautiful, unique, and comfortable to live and work in. Wendy's mission is to achieve spaces that cultivate togetherness, joy and love, in partnership with her clients. She is passionate about building holistic, functional and beautiful rooms that provide solutions for her clients which include the latest innovations in storage ideas, while balancing current design and color trends with ageless appeal and value. If you think you've recognized Wendy’s work from various publications, you probably have. She’s been featured in House Beautiful, Country Living, and Woman’s Day Kitchens & Baths magazines among others, and most recently in Ballinger, Crane & Gilmer's 'The Kitchen Bible - Designing the Perfect Culinary Space' 2014. Columbia Cabinets is an award-winning kitchen and bath design firm with showrooms in Saratoga Springs, Troy, Lake George/Queensbury and Westchester. It all starts with our talented, award-winning designers who approach each project determined to find the perfect harmony between beauty and technology, form and function. Extensively trained, they will creatively and meticulously manage every stage of the process from initial client meeting, no fee design presentations and on-site measures right through final installation. Columbia Cabinets has an extensive portfolio from Lake George to East Hampton, working with individual homeowners as well as architects, builders, general contractors, developers and interior designers. We can work anywhere on the East Coast, but our concentration is the tristate area. Designing with a wide range of product from fully custom lines like Wood-Mode and Tedd Wood to semi-custom lines like Brookhaven to builders' grade lines like Wolf, Columbia Cabinets creates six figure dream kitchens as well as multi-unit galleys. Selecting the appropriate product for the job enables us to service almost any budget. 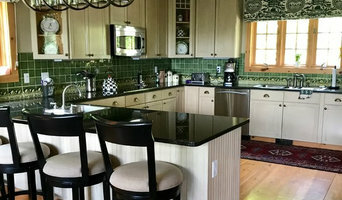 Columbia Cabinets’ designs are frequent winners of prestigious awards such as the Saratoga Showcase of Homes Luxury Home-Best Kitchen, Parade of Homes Pinnacle Home-Best Kitchen, National Kitchen and Bath Association Tri-State Awards and the CRBRA (Capital Region Builders and Remodelers Association) Best in Building Awards. Zobel & Co. kitchens understands the kitchen has become so much more than the place where you make your meals. It’s where you share your story. Build your family. Make your memories. We’re an award-winning design partner who can guide you to the intersection of form and function: a sweet spot that is uniquely yours. No matter your taste, we’ll craft a perfect blend of textures and tones to help your personality shine through. 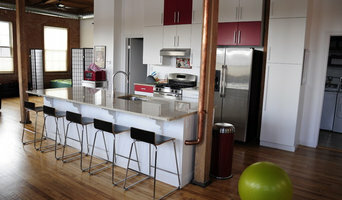 Kitchens are the heart of a home yet there are other spaces equally as vibrant and important. Maybe it's an outdoor kitchen, a TV room, bar or walk-in closet, let us help you transform your visions for your home into your every day life. KBC Design Studio/Kitchens By Christina Inc.
Best of Houzz, 2018, 2017, 2016, 2015, 2014. Design, build Remodel. Concept through completion. Specializing in Additions, Kitchen & Baths, Master Suites, Family Rooms, Sun Rooms, Screened Porches,and more. We provide a 3D "See it before we build it" approach for all our projects. Specializing in 1 & 2 Story Additions, Kitchen & Baths, Master Suites, Family Rooms, Sun Rooms, Screened Porches,and more. Designing, Building and Remodeling for over 25 years. We work as a team to provide an enjoyable building and remodeling experience from start to finish.